An aching cry to any Christian parent who will read this. There was a huge paradigm in my thinking when I came to Christ about four years ago. It is something that God has been quietly sculpting inside me since this time. But now I feel like I have to speak out about it. Now is the time for me to give voice to the bold cry inside me that I long for every Christian parent to hear. I’m going to make some people angry here. But I want you to think and ask yourself if what I’m saying is not true. If it’s not, don’t listen to it. If it is, change how you treat your children. When you realize that your child is not yours but belongs to God, an infinite difference should take place in your parenting. But there are Christians who treat their children with less value for the Gospel than nonbelievers. There are Christians who I wouldn’t dare to be a child in their home because of how they speak of their child and how they treat their child. Any harm we do to anyone in this life is ultimately harm done against Christ. Christ experienced harm of every sort: natural (the general consequence of sin in our world) and deliberate (the specific consequence of sin of others in our lives) at the cross. That means any time you harm your child, you’re actually harming Christ. And whatever you’re doing to your child in that moment of harming him, you’re actually doing to Christ. I never use to believe that, but I do now. There are many people, many Christians, who look at the Bible and they see discipline, but then how they enact that discipline is how Satan would. Many Christians don’t think about other Scriptures that balance the discipline passages. The Bible says that if you prevent any of these little ones from coming into the Kingdom of God–if you block their way–better for you for a large millstone to be tied around your neck and for you to be drowned in the sea (Matthew 18:6, Mark 9:42, Luke 17:2). This is at least as serious in nature as the passages about discipline and we should take the warning soberly. If your discipline drives your child away from you and towards sin rather than towards you and away from sin, you’re not emulating your Heavenly Father (see Ezekiel 18:32, Ezekiel 33:11, 2 Peter 3:9 for what God is like and 2 Timothy 2:24 for an example of our calling). That’s not to say that all children will receive good discipline the right way at all times–we’re all sinners. But if there’s a pattern of you exacerbating your child as Paul warns against–provoking your child–actually, you’re driving your child away from the Kingdom of God (see Ephesians 6:4 and Colossians 3:21). The way that Satan would have you discipline is a power play. But that doesn’t reflect God. Think of how God treats us with all the many mistakes we make (see Lamentations 3:23). I’ve seen or heard of people doing things such as delay punishment for hours, and it becomes a power play of manipulation and fear and while your child is frightened in a sinful way, waiting for you to do something that’s calculated and cruel, it is exactly the same as if Jesus was sitting there waiting for you to do something to Him (Matthew 25:40 and 25:45; also see Matthew 18:7 and Luke 17:1). In the Old Testament system, even physical correction by the Law for adults was something that was to happen immediately–not with delay (see Deuteronomy 25:2). Your child in his worst moment was worth the blood of value (see John 3:16, John 10:11, Romans 5:10, 1 John 3:16). Your child in his worst moment is made in the image of God (see Genesis 1:26-27). Your child in his worst moment is a gift from God (see Genesis 1:28, Psalm 127:3-5). The value God has placed on your child is His blood and when you treat your child as worthy of less than His blood, you are not following the Gospel which you say you believe. I have heard and seen the excuses of people talking about God’s means of physical correction in the Law and Proverbs and then extrapolating that into things that would please only Satan. For example, parents chasing their child around the house with a belt or something else to hit them with. God does not chase us around Heaven with a belt. and you are treating Jesus Christ as prey, and you are the predator. Yes, that was a weighty thing to dare to say. Pray for the church right now as you read this, that we do not treat Jesus Christ in such an unworthy manner. If your child’s said something smart-aleck or mean or uncalled for to you, and you arrogantly slap him across the face, you are showing a scorn for who he is as a human being. You are showing a scorn for someone who Christ died for. If you surprise your child with sudden movements and unexpected consequences, you’re showing him a thoughtless and capricious representation of God. If you treat your child in a manner that you lord your power over him, you are acting as the Gentile rulers, and you are not emulating your Heavenly Father (see Matthew 20:25-28). You are to be a servant of your child. That means first and foremost, you are serving her. And if your discipline is not a service to your child, but it’s a gratification of your own needs for punishment, or if it’s a perverse enjoyment from within you–which we all have–to harm others, or to lord it over others, then you are sinning against the Christ who died and changed that system for eternity. If you scar your child so that she is wounded to receive the Kingdom of God, woe to us. We need to repent in sackcloth and ashes on the floor. The fruits of the Spirit include self-control (see Galatians 5:22-23). It doesn’t matter how much your child is not showing self-control. In the worst of cases, it doesn’t matter if she’s kicking you, spitting on you, destroying your things, wrecking your car, or spray painting your house, you are called to have self-control. You have the Spirit of God living in you, and when your child is a little child, she does not. And even when she comes to know God, she is still learning and developing. You are the wise one about the ways of God, and it is up to you for how you treat your child (see Proverbs 22:6). Your child looks to you for the standard of righteousness, and the constructs you build about law and grace will guide your child in understanding the Old Testament and the New Testament. It is possible to treat your child in such an unholy manner that God spends years working through your child’s life to give her a right understanding of who He is and His Law and grace. Too many children have been driven away from the church by their parents–especially fathers. Too many children in the church have been treated only as a sinner and not with the perspective that they are weak, and therefore we protect them (see Psalm 82:3) . . that they are a representation of Christ on earth (remember Matthew 25:40 and 25:45), and therefore we treat them as we would treat Christ. Never, ever forget: your child was important enough for God to send His own Son to personally rescue. I fear that in trying to keep our children from being corrupted by self-esteem and unholy living, we have driven them to exalt the self-esteem in their life, because they feel no one else esteems them, and to live unholy lives with reckless abandon, because they know they will never measure up to God’s standards (or ours). Don’t ever forget, this is the very reason Jesus came as our Sacrifice. He gives us not self-esteem and not self-worth, but God worth and God value. He gives us not an excuse for unholy living, nor the impossible demand that we must be perfect in our own self-wretchedness, but the gift of Him living out holiness for us, so that, through Him, we can be saved in total holiness, and we can be clothed with Him and live in more and more of His holiness day by day (see 2 Corinthians 5:21, Romans 13:14, 1 John 3:23). I’m not calling for some kind of wishy-washy there’s no consequences, your sins don’t matter, you’re not a wretch, or we don’t follow what the Bible says about physical correction attitude towards children. I’m calling people to treat their child by the holiness that God dictates. You cannot pull out one Scripture and ignore others. We are called to holiness (see 1 Peter 1:16). We are called to recognize our children are holy (see the mystery of 1 Corinthians 7:14); our children are precious to God (see Matthew 19:14 and Luke 18:16); and our children are valuable beyond measure to God, because He died for them. James tells us we all sin in many ways (from James 3:2). But we need to break out of habitual, wicked patterns of saying we represent God and then representing Satan or demons to our children. When we do that, Satan is waiting with open arms to greet our children with the false masquerade that he has the qualities that God, and only God, represents (see 1 John 1:5). But when we represent God to our children as Satan, then they will look at Satan and they will see the qualities they long to see in God but believe He doesn’t have because of us. This is eternally serious, church. How we treat children matters for eternity. How we treat children shows what we would do if Jesus were on earth beside us. Every mean-spirited, calculated, manipulative, and viceful thing you have ever done towards your child . . every time you have tormented him in your anger or self-gratification . . you have presented to him your representation of who God is. Your child hasn’t born the full weight of this sin you have done. I know this with all of my heart. I believe it with every fiber of my being. Jesus, Jesus felt the full impact of your blow. I beg you and I beg myself: let’s use every grain of strength God has placed in us to never again allow this to happen. 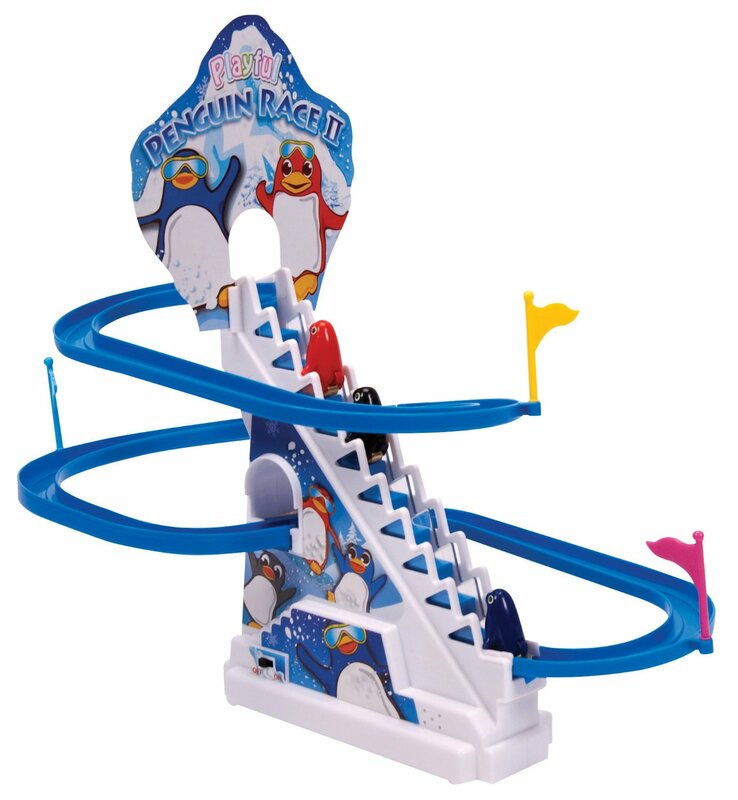 Have you ever seen the battery operated toys that have stairs and slide and little figures that climb the stairs, roll down the slide, and then do it all over again? I have one of these toys. Mine has little pirates and a parrot, and the principle is the same: they climb, climb, climb, and then slide, slide, slide, and then climb, climb, climb again, and then slide, slide, slide again. The little characters have special rollers for “feet”, designed for their endless journey. Climb, climb, climb . . slide, slide, slide. Climb, climb, climb . . slide, slide, slide. It is the near exact habit of most of our lives. It might look different in different people and at different times, but the climbing and sliding are always there. For you, the latest might be a climb, climb, climb . . or it might be a slide, slide, slide . . but the same two principles are there. You’re climbing. Or you’re sliding. Up, up, up the stairs. Down, down, down the slide. There is nothing–not one thing–I can do to get off the never-ending cycle. Some call it “good luck” and “bad luck”. Others call it “karma”. And others call it “fate”. It’s what goes our way versus what doesn’t. It is a prison of ups and downs. A familiar prison, a mindless prison, and maybe even a comforting prison. But a prison nonetheless. It’s a cycle I can’t break free from. Outside my realm is a mighty war going on between Good and evil, Life and death, Grace and consequence. Inside my realm, I am prisoner of the effects of the sin I can’t escape and the mercy I don’t understand. Slide, slide, slide. Climb, climb, climb. I am passive to my responsibility in this war because I either see myself as acted upon, carried along by what I cannot control . . or I delude myself into believing I’m on my own exciting journey that I control, and not the endless cycle of climbs and slides I find myself bound to abide by. Apart from Christ, all I can look forward to in this life is to be carried along day to day by the chutes of frightening sin I’ve had my own hand in constructing, and to be lifted up by the extravagances of baffling grace I can’t possibly understand. I get a great evaluation at work–climb, climb, climb. I puncture my tire on a curb when I don’t have the money to spare on it–slide, slide. I have a boyfriend–climb, climb, climb, climb. I lose my retainers and worry my front teeth are getting pushed out of alignment–slide, slide. My friends don’t respond to my facebook post–slide. But it’s not just the small climbs and slides. It’s the sky-scraping climbs and breakneck slides, too. Some people mistakenly think the point of Christianity is to get more climbs-per-slide ratio. That isn’t it at all. It’s to be free from the cycle. It’s to get off the track. And it’s to get feet–real feet–instead of rollers. Whatever climbs or slides come my way in this life, Christ enables me to turn them into eternally-mattering landscapes in His Kingdom. What was once a climb only enacted upon me, scooting my rollers up one step at a time . . becomes an opportunity for me to scale a snowy-topped mountain of Hallelujahs for God. Each mountain becomes a reminder of my delight in who He is. Each mountain becomes a glimpse of what my joy in Him will be like one day. And what was once a slide being rushed upon me, forcing my rollers to spin wildly . . becomes an opportunity for me to claim a shadowy valley for God. I learn to have faith in who God is regardless of what sin has done to His world. And so each valley becomes a reminder of my grief over the effects of sin and my eagerness for my King. Each valley becomes a glimpse of what my existence would be like without Him. I choose for Christ to set me free from the endless track of stairs and slides of this life. I choose to journey the mountains and valleys between me and my King. I choose to live a life that matters–not just so long as the switch to this world is turned on, but for all eternity. The other day, Teej found a dead fly in the refrigerator and asked me to remove it. It’s not too surprising that a fly would end up in the fridge. After all, flies are famous for their love of food. They tend to frequent picnics and cookouts, and when one does get inside the house, it can usually be found in the kitchen or dining room. This particular fly must have thought he’d found the jackpot! So much food, just sitting there! Not a swatter or newspaper in sight! No hand to shoo it away! Not even fly paper! A veritable feast! And so it entered the refrigerator. When the door closed behind it, it probably didn’t notice, and wouldn’t have cared if it had. So much wonderful food for the taking, with no one to intervene. But in the end, the fly’s greed led to its demise. It chased after the jackpot, and lost everything. Chasing that wonderful treasure looked like a great idea to the fly, but it ended in death. It makes me think about the things we treasure. What am I chasing after? What are you? Is it a treasure that will ultimately pass away? Or one that will last for eternity? 1. To bring you to salvation. 2. To convince you to share with others how they can be saved, too. Which way is He working in your life? Tags: God is working in your life, How is God working in my life?, How is God working in your life? 1. To try to keep you from being saved. 2. To try to keep you from sharing with others how they can be saved, too. Tags: Billy Graham quote, What is love for others?, What is love? I want to be Your love in a droplet to the world, though the size of even a droplet is far more lofty than I shall ever attain. Yet if by Your grace I have attained even the most microscopic atom of Your love possible, the world will be forever changed. Unlike Daedalus & Icarus, the wings of Your grace do not melt under the hot sun of legalism. I had a dream. A dream for a pumpkin. I wanted the pumpkin I picked out to turn into a carriage. I wanted the carriage to whisk me away on a surprise getaway to a castle. This is the story of the pumpkin that didn’t turn into a carriage. –and thinking you are really desiring the carriage. I wanted to move to Georgia. It was a whim, yes, but it was more than just a whim. I have friends that live in Georgia. I visited a strong Baptist church while I was there. I had an open invitation to join an active young singles group in that church. There were passionate believers in that group. I had a real hope of the possibility of meeting someone and the ache of singleness fading. And, besides, I love warmer climates. A Whole Foods was in driving distance and I could have all kinds of choices of cuisine without High Fructose Corn Syrup, even bakery goodies. And I wanted to land a job at an incredible, incredible Christian private school I toured (and applied at). It was my pumpkin-going-to-turn-into-a-carriage. I’d picked it out, and I was pointing at it and praying God would agree. While I was in Georgia, as I shared my intense longing with a dear friend, he referenced Psalm 37:4. I hoped, oh I hoped, that my friend’s mentioning of this passage was a sign. A sign of a future where I would be in sunny Georgia, where I hoped it stayed light outside for far longer than Missouri, and where I hoped it was at least 75 in the winter. I longed to be a part of the young single’s group and maybe even restart my own youth. I wanted to be a part of the church that had branches of ministry, leaves of fellowship, a trunk of solid teaching, and strong, deep roots of faith. One of my favorite Christian apologists actually taught a class at the church. I wanted to belong to friends in Georgia. I wanted a little house with sunny, sunny skies. And I longed to teach at that Christian school. I tried very hard in the interview to put my best foot forward. I knew it was a way-out-there chance. I was out-of-state; couldn’t interview from Missouri very easily; and they weren’t even hiring. But still, my heart tried to nudge through any opening I could find. In college, I’d dreamed of teaching in a school just like this one, and I wanted, wanted, wanted that job. The job I had already was an extravagant blessing, you understand, but this was a pumpkin-turned-into-carriage once-in-a-lifetime sort of opportunity. And I hoped, hoped, hoped God would see that I’d found the future I wanted in the pumpkin patch. I pleaded with God. I didn’t know what else to do. I was at His mercy. I couldn’t turn the pumpkin into a carriage for myself. And, as I’m sure you’ve already guessed where this is heading . . the pumpkin didn’t turn. I didn’t get to move. I didn’t get to join the church. I didn’t get to belong to the small group. I didn’t get the imaginary husband there I’d hoped I’d meet. And I didn’t get the the second chance at youth, the new start, or the exhilarating ballroom entrance that I was longing for. I knew I didn’t have one iota of reason to complain against God, not could there be any merit in disappointment towards Him. This is not to say I didn’t feel a bit embittered about His decision anyway, but I knew I wasn’t right to do so. I wasn’t sure if I was being punished for past mistakes or present lack of faith, but I knew I was not getting what I was desiring. Though my memory’s often not very good, I think it was one year and one month after that trip that God prompted me to start the first small group Bible study in my mom’s home in Missouri, and I had one of the sweetest fellowship times of my life. Through that and the following seasons of sessions, I made dear, lifelong friends. Though I would have never picked a Pennsylvanian winter for myself, the Christmas Eve the snowflakes that fell in our hair in the park, and when we knelt in the sanctuary of Ben’s church and prayed together . . that was better, yes, much better, than all the Vitamin D the Equator has to offer. Walking into a room full of people waiting to surprise me for my 30th birthday, and coming to terms with the reality that, although my youth is fleeting, God’s still beside me every step of the way . . that was better, yes, much better than the plans I’d made for myself to *stay young*. Finding a church, trying out for the drama team, joining a loving Sunday school class with an enthusiastic and wise teacher, teaching children’s Sunday school, and becoming a mentor at my Pregnancy Care Center . . better, yes, much better than what I’d dreamed up back in my lonely days. And today, today . . the delight of teaching learning-hungry first-graders . . the other first-grade teacher showing me how to make my first first grade class book with the spiral binding device . . sharing stories with my friends at the Pregnancy Care Center . . helping a client find resources in our community to help throughout her pregnancy . . heading out to meet Ben at a nature park nearby . . finding him around the corner of the park building, reading Colossians out loud, picnic dinner all ready. . sitting down on the silky picnic blanket my aunt bought me for my birthday . . Ben serving cheese sandwiches and the last chocolates from a celebration several months back . . watching the beautiful almost-dusk pink and purple and–if my eyes don’t fail me–even green in the sky . . hot chocolate with a creamy heart at the coffee shop after. . reading a joke from Mom on facebook . . working on wedding invitations and thank-you cards from my birthday party . . writing this blog and feeling ready to cozy-down for sleep . . Yes, God, yes. Your dreams are so much bigger than mine. I’ll take Your carriages over my pumpkins any day. I close my mouth in recognition that, in the joys and the sorrows, You are working out desires I can’t even fathom, desires that come from delight in You.